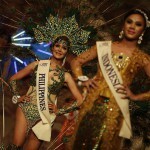 The eighth annual Beauty contest among the transgenders and transsexuals “Miss International Queen 2012” took place in Pattaya, Thailand. And this is not quite the usual beauty contest, since among the 21 participants from 15 countries of the world, was once a man. Meanwhile, the winner of the competition became a citizen of the Philippines Kevin Balot. 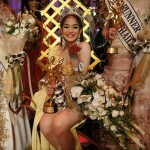 She received a prize of 10 thousand United States dollars and Thai mobile phone. In addition, she is free to stay in an apartment in Pattaya for one year.